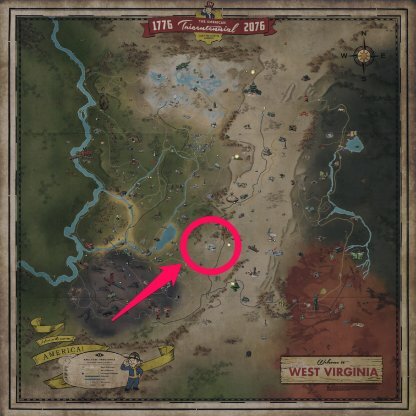 Find out how to get Legendary Weapons and Armor in Fallout 76 with this guide! This includes Legendary Weapon prefixes and their effects, & what's the best way to farm for them. Furious is an amazing prefix to have with Melee weapons as it steadily increases your damage output with every consecutive hit to your target! This is best for one-on-one fights rather than mobs unless you can single each enemy out. With the Executioner's prefix, you can take care of dying enemies faster as it boosts your damage when your enemy falls below 40% health! The prefix can be good with either guns or melee weapons. Instigating is a powerful prefix to have with Sniper Rifles and other long-distance weapons. You can do massive damage of up to 4x if you shoot full health enemies while in stealth mode! The Vampire prefix provides health regeneration with every hit to a target, a good thing to have in any battle! Just make sure that your enemy can't out damage your healing or you might find yourself in hot water. Regenerating clothing will continue to heal you as long as you're not in battle! This prefix will mitigate the need for consuming health items after battle as you can just regenerate as you go on your way. The Chameleon prefix is great for sneak-focused characters as it will turn you invisible when keeping still. You can take advantage of this when enemies have been alerted to your position. This prefix will make you tougher the higher your health is and can easily turn you into a tank-type player the more pieces you wear. This is even better when wearing a Power Armor. 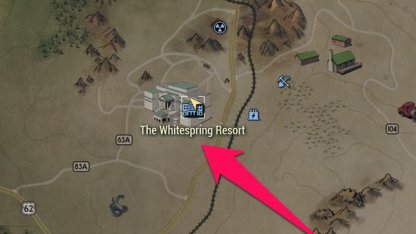 Whitespring Golf Club has a high chance of spawning a Legendary Enemy because of the hordes of enemies in its area. If you're struggling to take on the Legendary Enemy, you can also get help from the robots in the area. 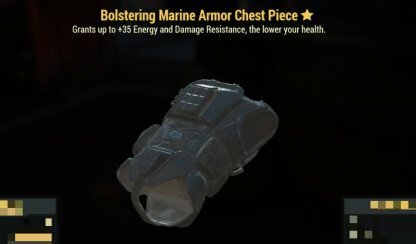 What are Legendary Weapons and Armors? 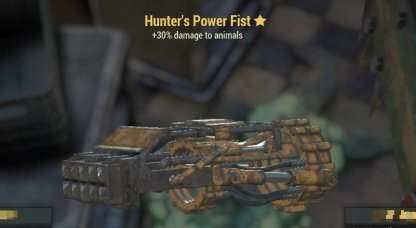 Items with a Legendary prefixes are stronger than their normal counterparts with additional effects, such as damage increase and radiation resistance. The prefixes are random per item so you'll have to farm for a prefix that you want! 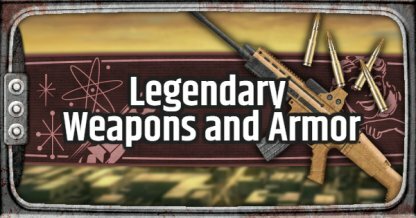 Legendary Weapons can only be looted from Legendary Enemies. These enemies ca be differentiated by their physical appearance, as well as a star next to their name when you aim at them. You can only loot from Legendary Enemies if you at least damage them. You can get help from others such as robots or other players, but if you don't deal damage to them, you won't get any loot! 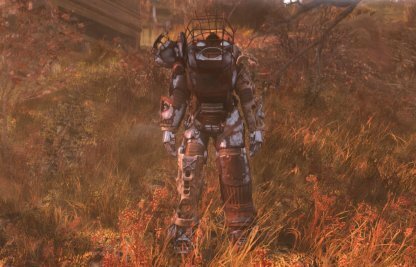 When dealing with Legendary Enemies, it's best to wear a Power Armor to raise your chances of winning against them. Having both a long-range and melee weapon is also good to deal with them in any range. 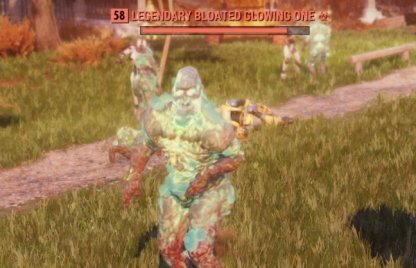 Legendary Enemies deal a lot of damage so it's a good idea to bring a few healing items with you when going after them. 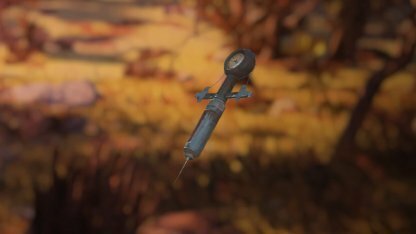 A few Stimpaks, RadAway, and Rad-X will go a long way to keeping you alive.